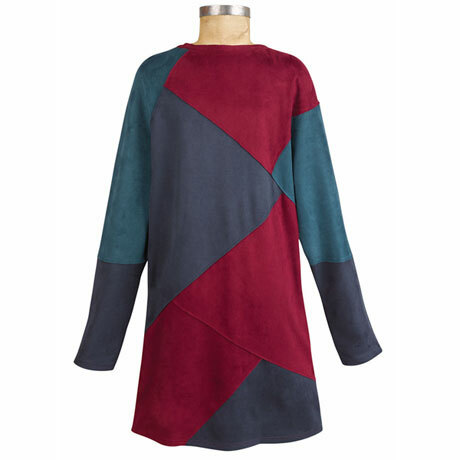 A thoroughly modern look, with supple faux suede pieced together in a fascinating corner-to-corner pattern. 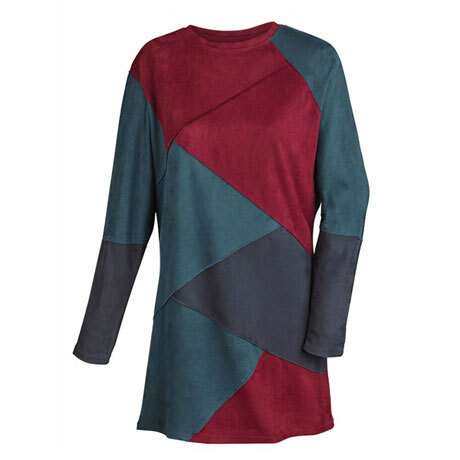 Colorblocks in trendy cobalt, navy and burgundy; ¾-length dolman sleeves. Machine wash. Polyester/spandex blend. Imported. S(6-8), M(10-12), L(14-16), XL(18); 36"L.